Senegalese 19 year old striker Moussa Konate who plays his international football with Maccabi Tel-Aviv has been honoured the player of the week in the Olympic games(football). 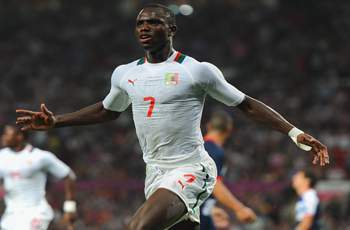 The young striker scored 2 goals to give Senegal a 2-0 win over Uruguay with likes of Luis Suarez and Edinson Cavani. That is Senegal's and his 3rd goal after scoring a late equalizer against Team GB.